Tax abatement is available in Guernsey County to qualifying commercial and industrial firms through either the Rural Enterprise Zone or Community Reinvestment Area program. The amount and length of tax abatement availability is based on capital improvements for real estate or equipment and/or job creation or retention. Qualifying businesses include manufacturing, warehousing, research/development or distribution. Retail businesses may qualify under the Community Reinvestment Area program. Agreement must be negotiated prior to investment being made. by state, county planning board. 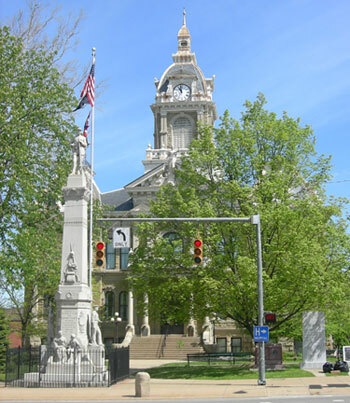 The historic Guernsey County Courthouse greets visitors entering downtown Cambridge from Southgate Parkway (State Route 209) and is the cornerstone of the downtown area. 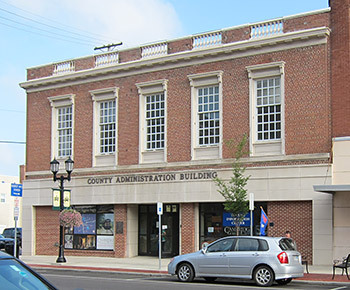 Guernsey County’s administrative services are consolidated into the County Administration Building located in the heart of downtown Cambridge.